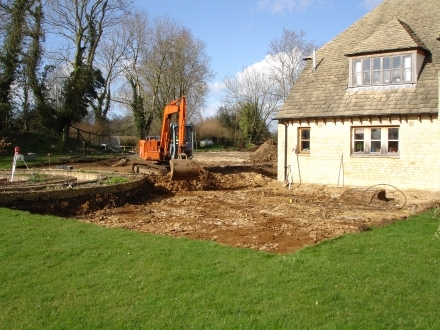 We are a construction company based in Crudwell near Malmesbury in Wiltshire. We construct domestic extensions, dwellings and carry out complete renovations - large or small. We also specialize in kitchens, bathroom and wet room design and construction. We bring project management and practical construction skills together for the benefit of our clients. As a company we have good relationships with local and national specialist companies for sourcing timber frames, joinery, swimming pools, architectural stone, bi-folding door systems, architectural glazing, ceramic and porcelain tiles. Up most we like a challenge, if you have a construction project that requires a bit more effort, please contact us on 01666 575 470 or email info@puddlebrook-construction.co.uk.